In the License Server Address field, enter the hostname or IP address of the license server. 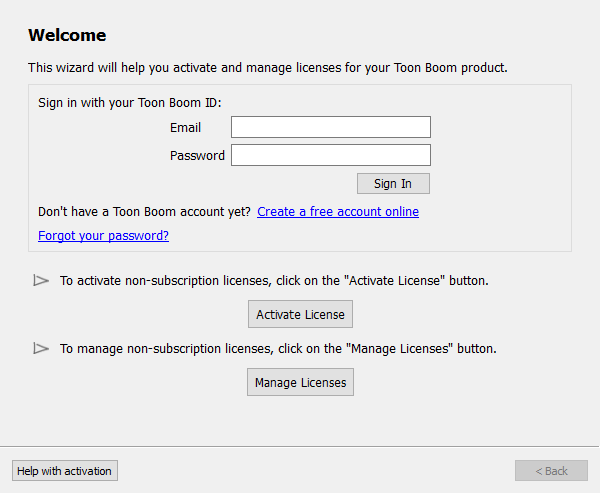 NOTE: If you are on Windows, you will be prompted to grant administrator privileges to License Wizard twice in a row. If you are on macOS, you will be prompted to give administrator privileges to License Wizard once. Congratulations! 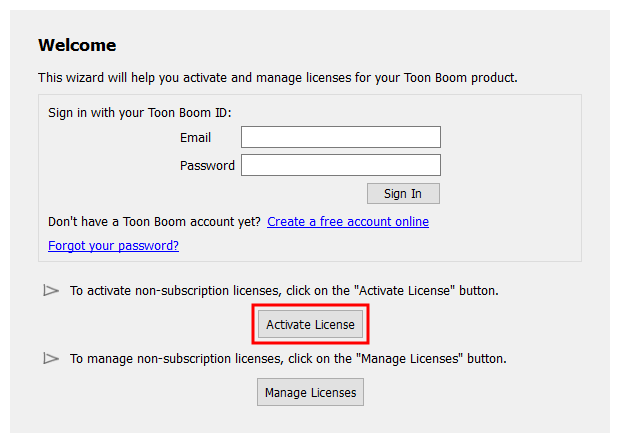 Your Toon Boom product is now properly connected to your license server. Provided that your license server has the appropriate license and is properly configured, you should now be able to launch your product. You can also connect a client to a server manually by writing the configuration file yourself. This can be useful if you want to script the client configuration or if you want to do it in a command line. The hostname of the license server. The port used by the license server, if specified. The port used by the vendor daemon, if specified. 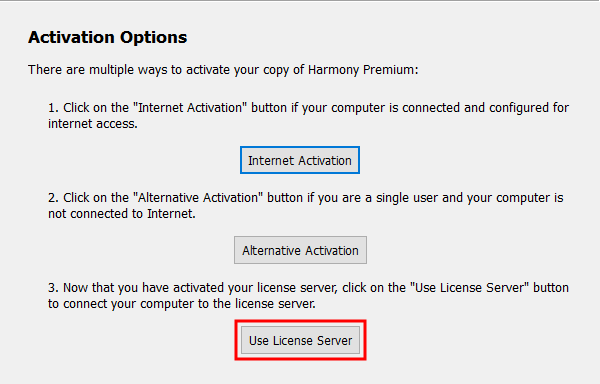 By default, the ports used by the license server and the activation daemon are not specified and they will automatically select ports when they are launched. 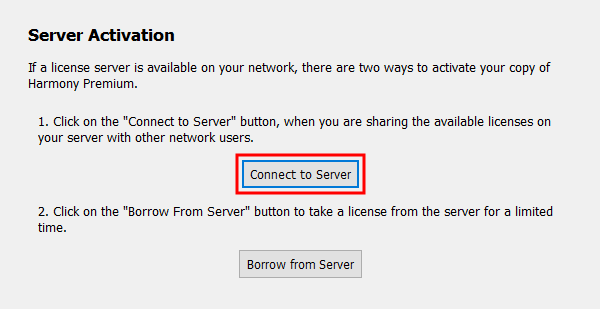 So, unless you configured the license server to use specific ports, you only need the hostname of the license server.